When presenting to your team or another department, it can be difficult to capture the attention of your audience. The struggle is often based in the need to make more engaging presentations, more so than a lack of interest or effort on the part of the presenter. We’ve found that explaining concepts such as sales funnels with graphics not only makes the presentation more visually engaging but helps to clarify what might otherwise be a difficult concept. Remark: You can get all diagrams and icons from Sales Funnel Diagram. Sure, sales funnels are meant to track conversion of a lead into a paying client. Seems simple enough, right? That’s where considering your audience comes into play. Unfortunately, some individuals are prone to struggling with the idea if it’s not presented visually. 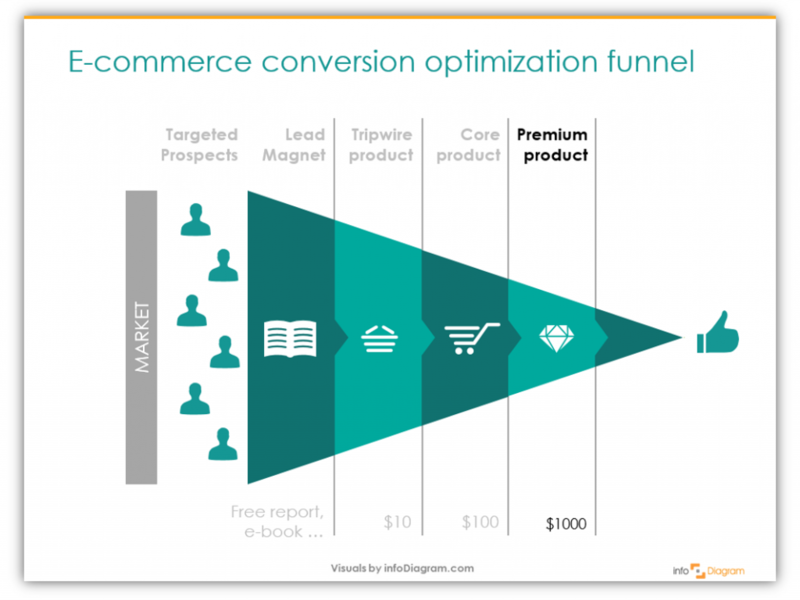 Others are apt to get confused if the funnel is explained with a simple, unlabeled graphics. We’ve found that audiences benefit most from having a clearly labeled diagram to illustrate exactly what is taking place. When you include clear, labeled graphics, you immediately make more engaging presentations. To make it perfectly clear to everyone present, you should illustrate your sales funnel step by step. 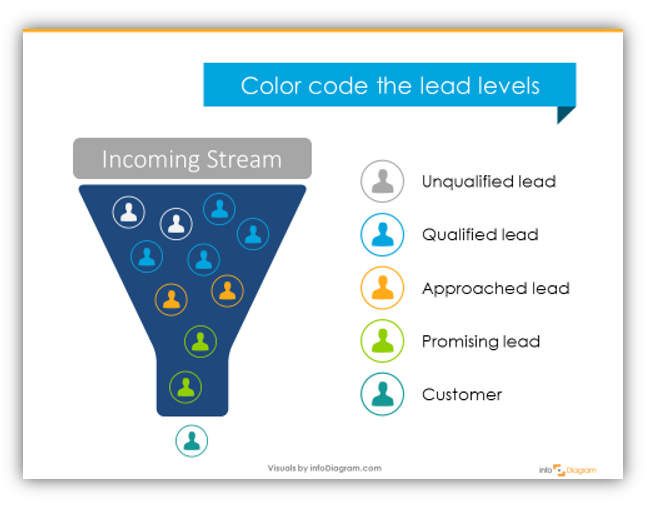 As you do in your actual sales strategy, each stage of the funnel graphic should correspond to various stages of lead development. These different stages should be clearly marked. See how each level is clearly indicated as a different step? See how easy it is for anyone watching the presentation to understand the material? Adding labels helps viewers to digest the material and appreciate what is being said. When people understand what is being offered in your presentation they can focus on the meaning, rather than try to figure it out for themselves and missing portions of your talk. To make your diagrams even more dynamic and even easier to interpret, you can color code them in addition to customizing the labels. Want to add some flair? You can make your presentation more interesting if you put your mind to it. Don’t be afraid to get creative! We offer scribble icons and figures which can help you illustrate the differences between stages. Want to do the whole presentation in scribble style? We can help with that, too. Then you get the benefit of a playful element and consistency to make a dry presentation more interesting. 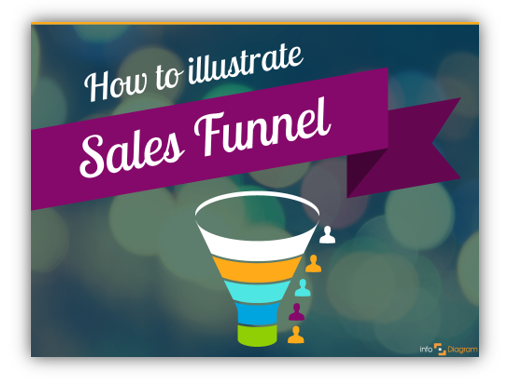 Here’s an example of how you can present an animated sales funnel. I added a simple animation to uncover each sales stage one by one. This gives a speaker space to talk about each stage. presenting the sales process in a graphical form of a diagram. You will show the bigger picture to your audience about the whole process. animate the sales funnel graphics for better attention focus – simply uncover each funnel elements one by one. Need more help making your sales funnel presentation engaging? Working on another presentation and aren’t sure what will help? Comment here or send an inquiry through the contact form. We’d love to help you create more dynamic presentations, eBooks, pamphlets, or whatever else you’re working on! Hello! What exactly are you looking for? Icons, images, templates or something else?